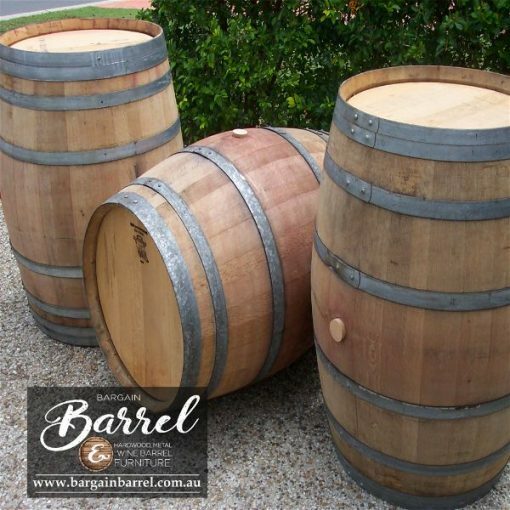 Our 230L authentic natural wine barrels are made from French or American Oak. 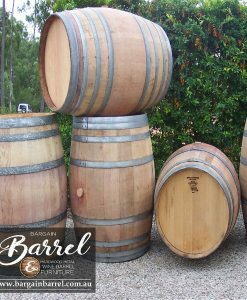 Approximately 4 to 8 years old straight from the winery. In a natural state our wine barrels tell a story ready for the entertainer. 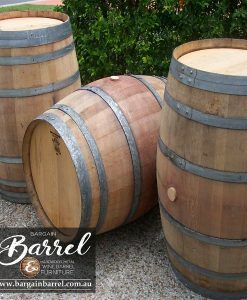 Our barrels are perfect as tables or recycled into a unique furniture piece. With age and weathering the oak will shrink, which will allow the bands to become lose and in some cases fall off. 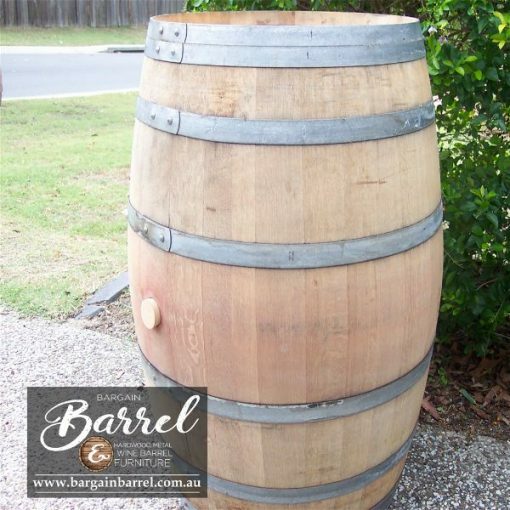 Bargain Barrel recommends stainless steel screws in the bands, a light sand to remove unwanted foreign markings, followed by a chemical gurney. 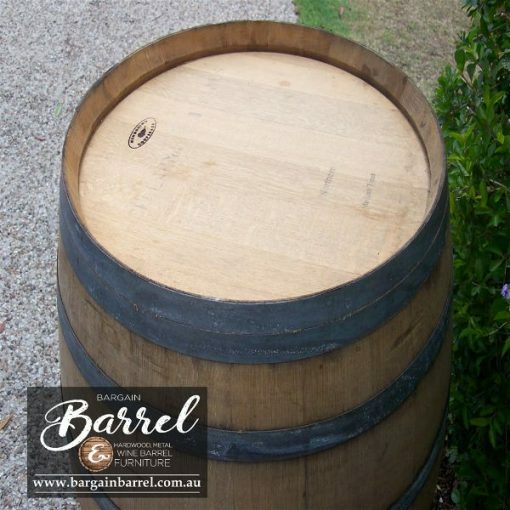 Once the barrel is completely dry apply 2 coats of decking oil. This will ensure the integrity of your wine barrel for many years. 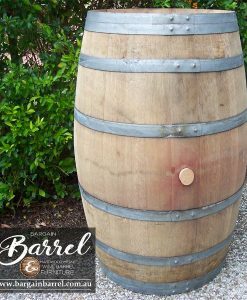 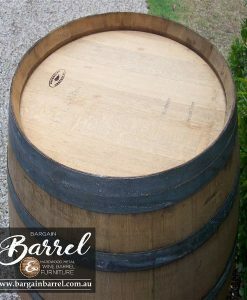 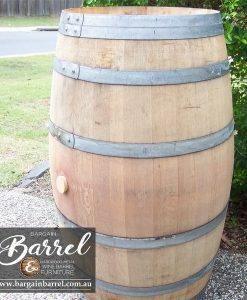 Bargain Barrel recommends the clean and coat process to protect your investment long term. 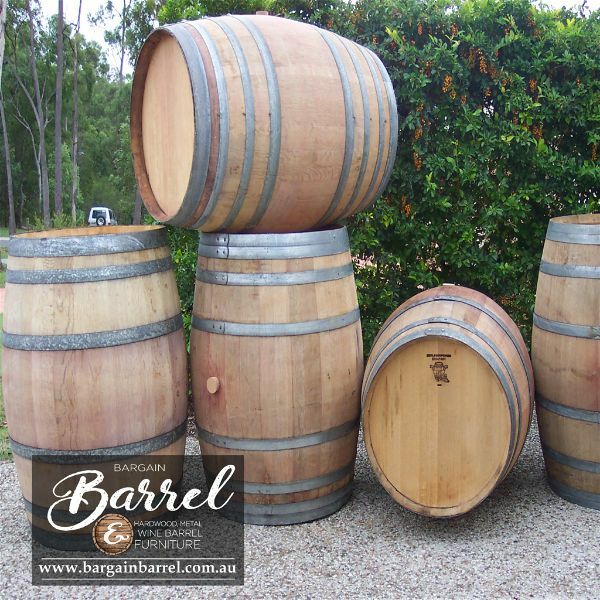 Our family business provides this service at an additional fee if time is precious and confidence is low. 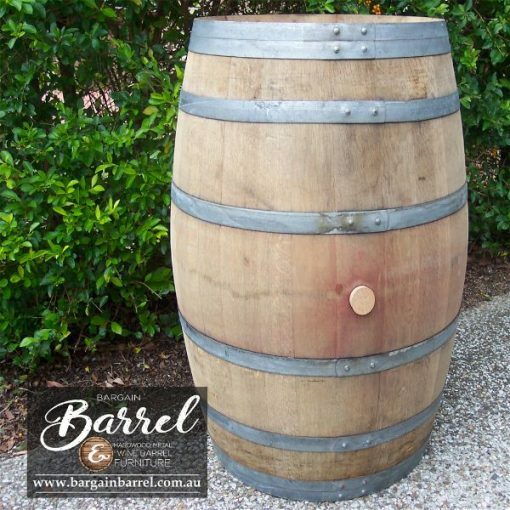 Please follow the link 230L Wine Barrel (C&C).